Let me know when it’s ready!. Not everyone wants to be a world-class virtuoso. And there’s plenty of great repertoire that doesn’t require that. But how many really enjoyable classical guitar pieces are there that you can “almost” play…if they weren’t just a bit beyond your technical grasp? Practice time is precious. It would be nice to spend it playing and actually conquering more of your favorite pieces—rather than staying stuck playing the same ones over and over because of one or two technical traps. 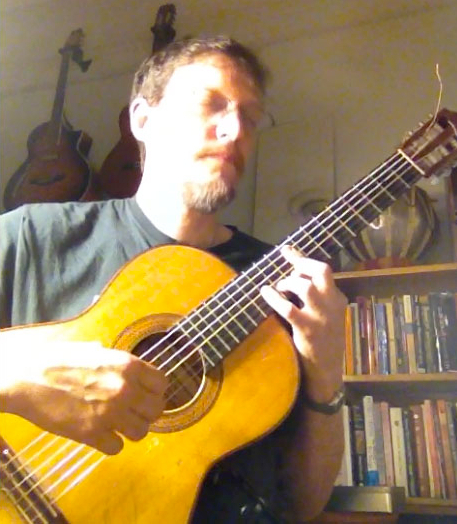 If you could just figure out how to consistently solve the kinds of technical problems that come up most often for you on the classical guitar, then you might even start to get….virtuosic….whether that’s your goal or not! Do you get stuck trying to learn pieces that shouldn’t be so hard, but for one or two difficult spots that ruin it for all the rest of the piece? Do you have a few irritating technical limits that seem to keep you from progressing any further, even though other things are working well for you? Do you get frustrated because you know something doesn’t sound as good as you want it to, but you just don’t know how to fix it? Do you get overwhelmed by how complicated classical guitar technique is? There seem to be so many different parts to it, and you just don’t know how to get them to all work together as one? Do you have issues with your left hand…or issues with your right hand….or with one finger, or thumb that doesn’t want to do as asked? Do you have problems with certain techniques— like barring, or slurring, or scale speed, or tone production—-that you just can’t get to work well enough? You need have a clear understanding of the finer points of technique. You need to know how to practice so you can progressively master them. You need to know how to to identify where your blind spots are. You need to know how to work towards fixing habits that are holding you back. Mastering Technique integrates everything I’ve learned in 35+ years of playing, practicing, performing, recording and teaching classical guitar into a set of principles and instructions that are as simple, elegant and effective as I can make them. 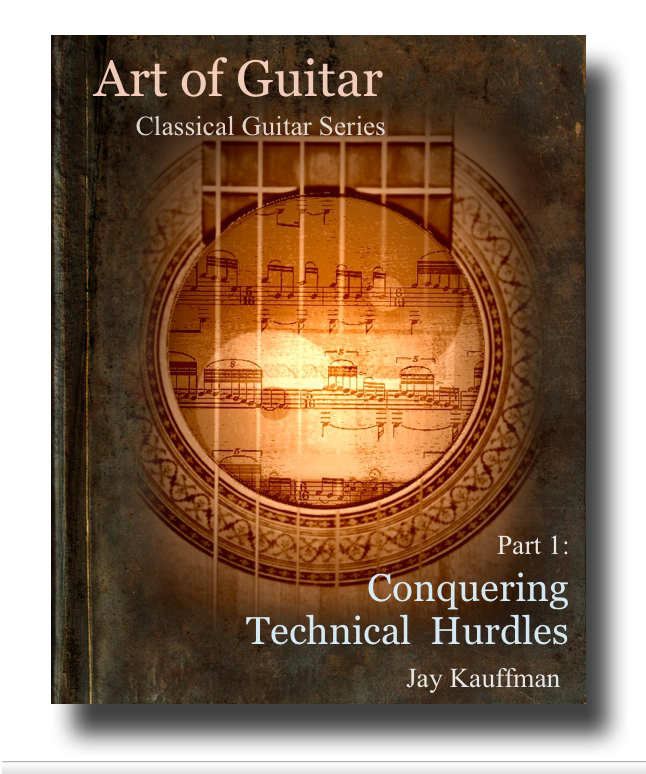 In “Art of Guitar: Mastering Classical Guitar Technique” I’ll cover all of the basics of classical guitar technique in a clear and well-thought out way. I show you the fine art of practicing them in ways that can steadily train and transform your hands, ears and strings towards the goal of achieving effortless technical flow—so your hands can become versatile, efficient, and fully available for your expressive imagination. I’ll also show you how you can grow not only technically, but as a musician and a guitarist— in ways you might not have realized were possible. to learn using parts of yourself that you might have ignored until now. The book is not meant to substitute for a real live teacher, but it does address your ability teach yourself when your teacher is not there looking over your shoulder, or when you don’t have a teacher to go to.